I'm pretty sure I switch the look of my bedroom up every time I change the sheets, which sadly probably isn't often enough. How often do you change your sheets? I'm not saying how often I do it, but lets just say that when I do, it feels like a fresh start that always inspires me to freshen up the rest of the room as well. This time around I added a Bohemian look to the room. 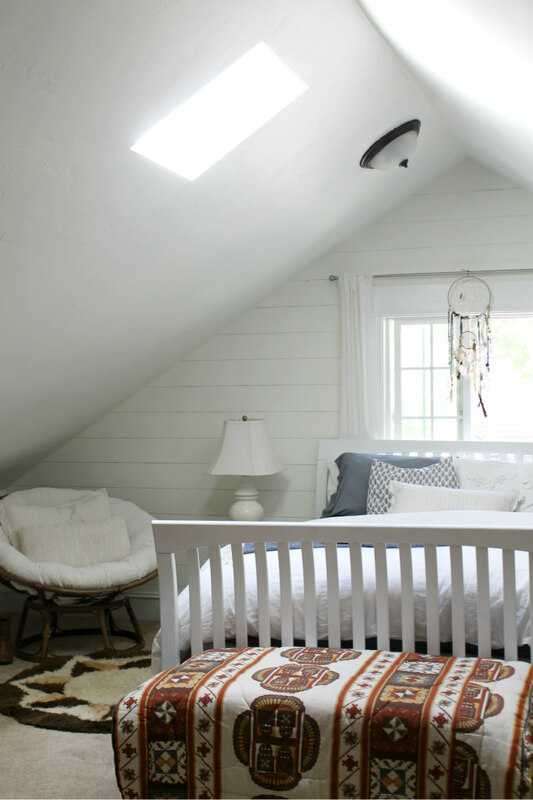 It's easy to change the look of a room if you start with a neutral pallet such as my white walls and white bedding. Then by playing around with accessories you can add in whatever style you wish. 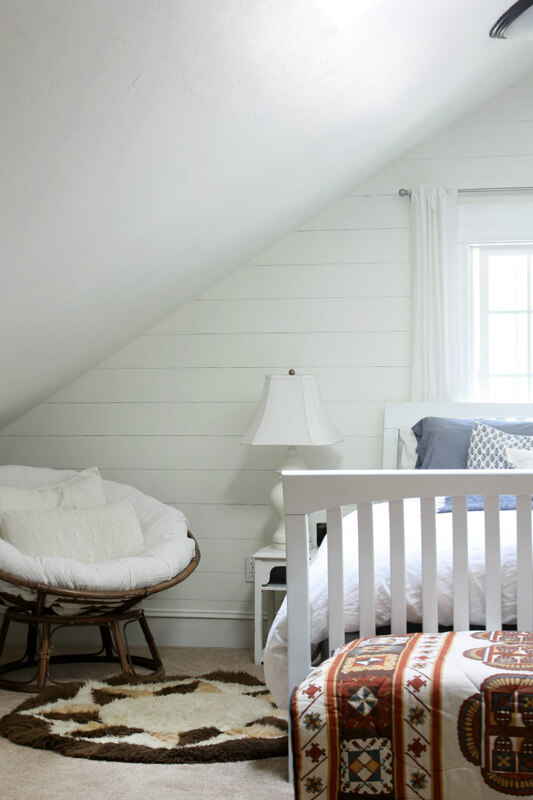 My style varies from farmhouse, coastal, cottage and bohemian. 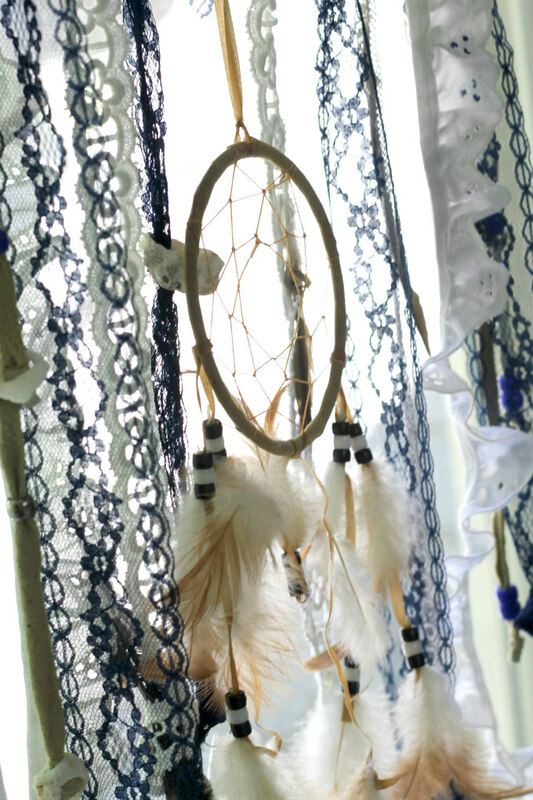 The first accessory I added to the room was this dream catcher that I've hung from the curtain rod above my bed. The dream catcher actually got a second makeover before I hung it up. 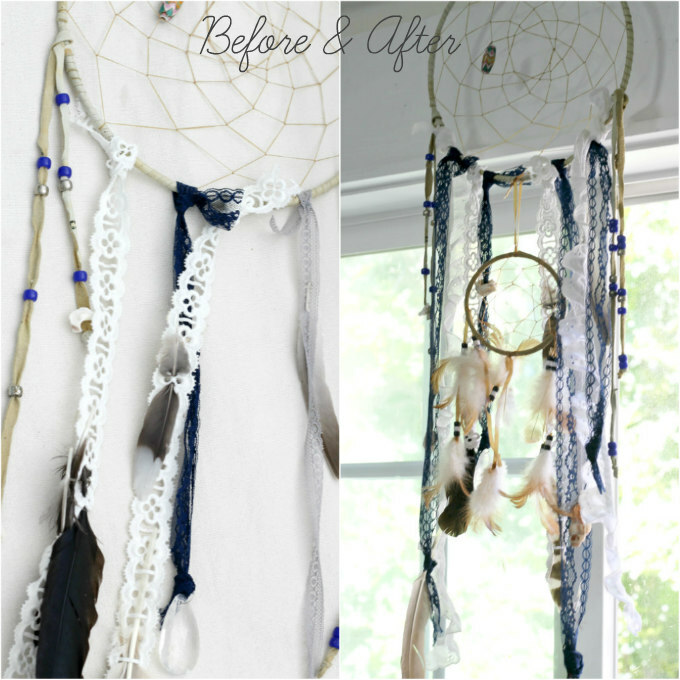 I once blogged about a sad little dream catcher that I picked up at a yard sale and I gave it a makeover, well that dream catcher was starting to look a little sad again, so I gave it a second makeover, this time I added a smaller dream catcher to it as well as even more ribbons and feathers. I switched out the wicker rocking chair that was in this corner before for a more relaxing papasian chair. 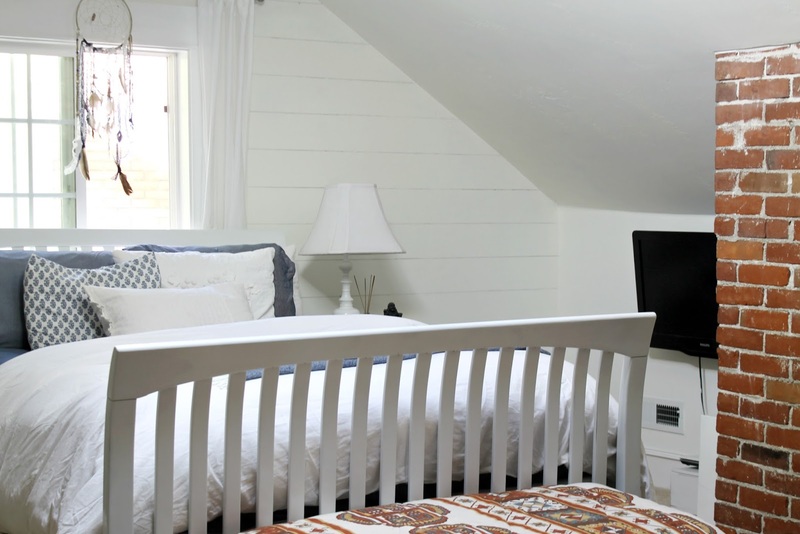 A sheepskin rug is placed next to the bed which feels amazing on the feet when getting up in the morning. 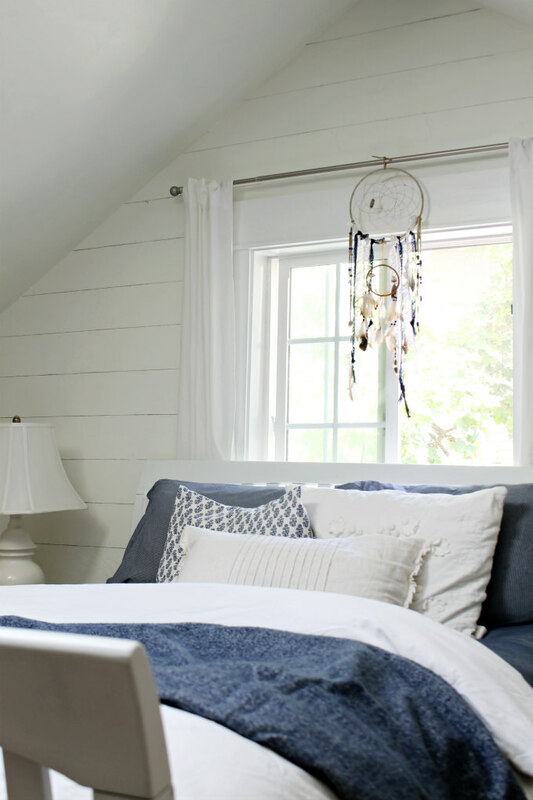 Bohemian style is all about creating a comfortable and relaxing space. 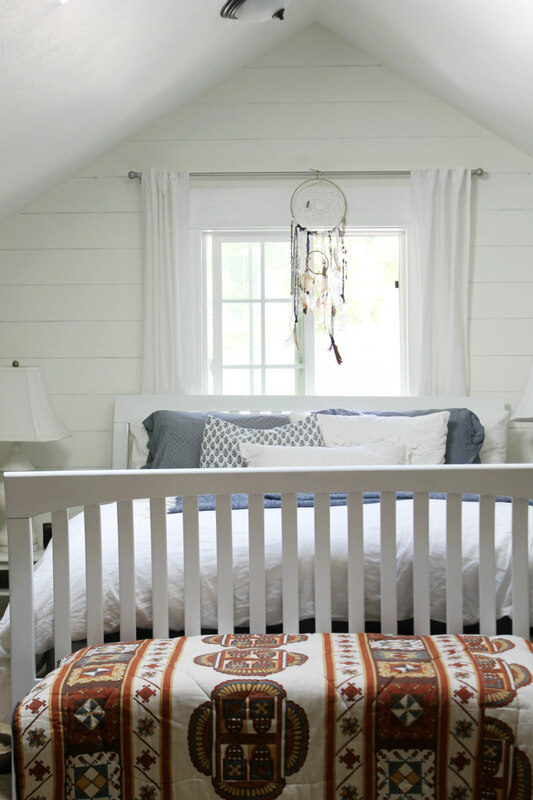 I placed a tribal print blanket onto the ottoman that sits at the end of our bed, I think it gives the room that perfect finishing touch for my bohemian look. Oh and P.S. if you don't already know, the planks on the wall are Fake! I drew them on with a pencil. See more Here. 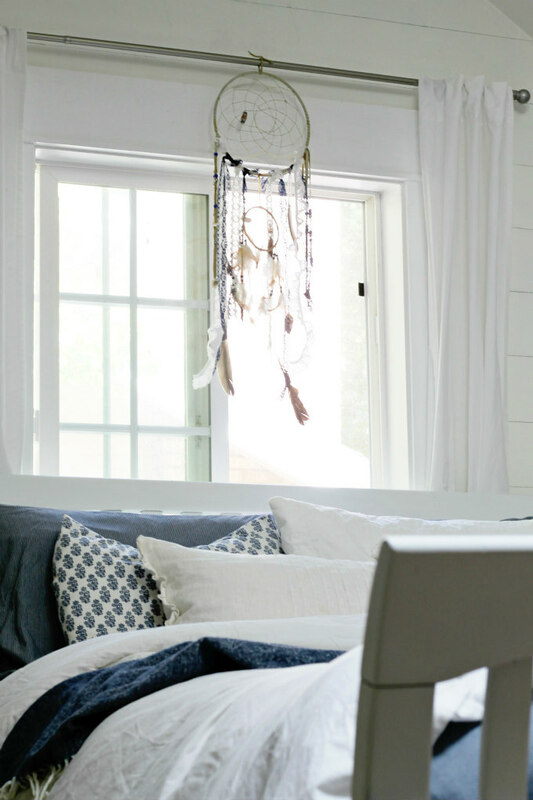 I am a big fan of the bohemian style when it comes to interior decor and this is a great post about how to apply it naturally in the bedroom. 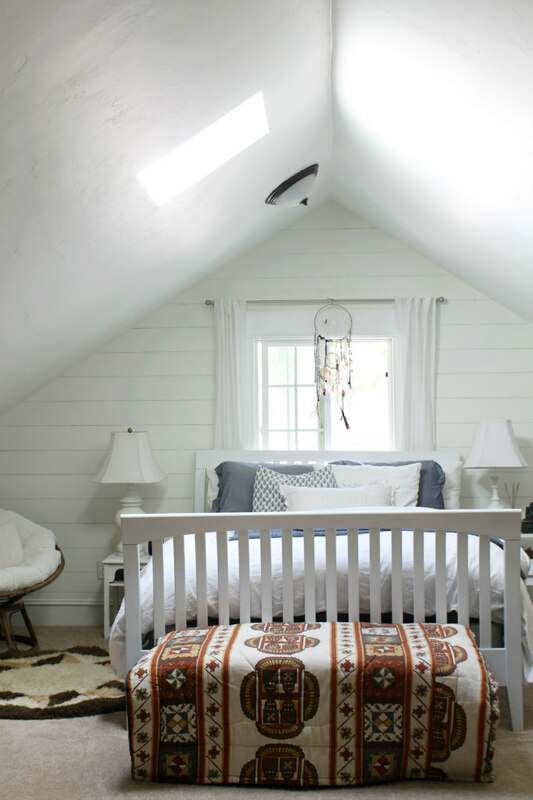 I love that everything can be applied with a neutral room. 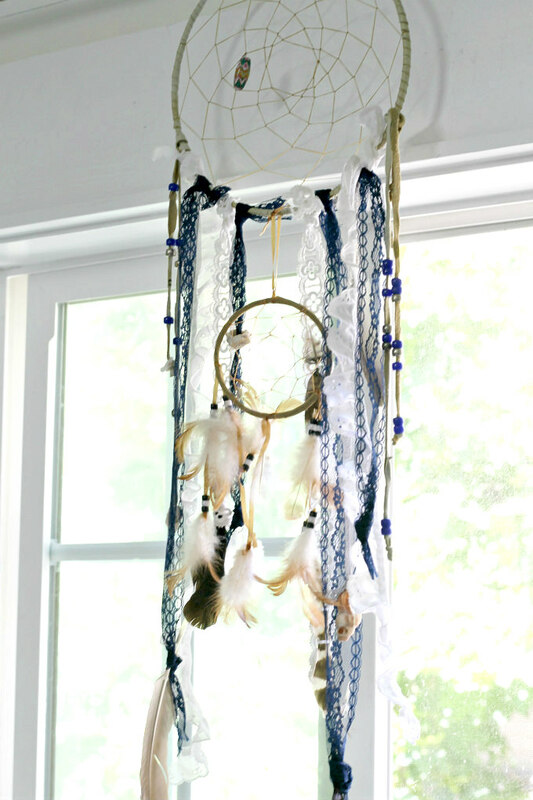 The dreamcatcher was my favorite special touch, and I think it ads a strong mascaline focal point to the room.